Three fun, great acts and a terrific emcee! 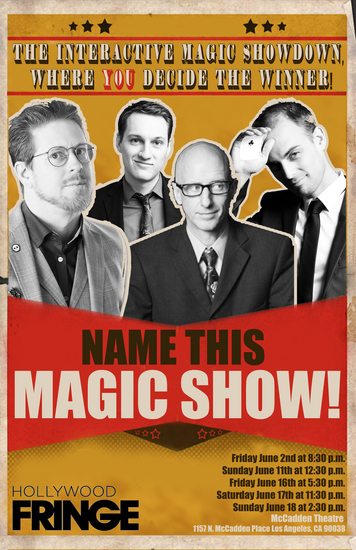 The very concept of this show is perfect for Fringe: four magicians battling it out for the house profits and, more importantly, the chance to name the show. Fantastic magicians, all of them. It was a pleasure to see four friends and colleagues genuinely have fun on stage. Not overly rehearsed and the interaction with the audience was superb. Highly recommended to anyone who enjoys a good time.